Graduate school wasn’t long ago. The #1 thing I’ve spent all these years doing was sit in front of a computer… I’m talking about 12 hours at a time. In between writing, studying, and working, a computer can easily become a major part of your life. Along with the torturous hours on a computer comes repercussion, including excruciating back and neck pain. I’m only in my mid 20’s, and I find myself waking up multiple times at night with terrible neck pain and with difficulty finding the right spot for my back. Getting a massage always works great: but a weekly trip to the masseur costs me about $700 a month (no, I’m not rich). All this overspending isn’t fun, and I’m always an advocate for efficient solutions. 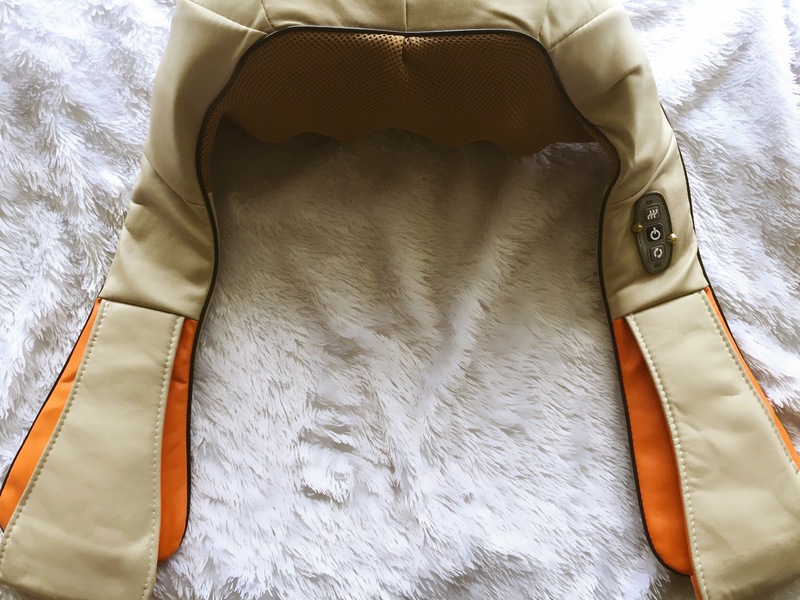 The overwhelming pain can get the best of me, and when I came across Shiatsu neck and back massager by Wollin, I couldn’t hesitate to give it a try! Goodness, where do I start… everyone in my house loves this massager. In fact, my mother came over, tried it, loved it, and stole it from me, so I’ll definitely have to purchase one for myself. During the time I was able to have it, I must say, it was a real life (and neck) saver. The massage is so deep, powerful, yet comfortable! It applies the right pressure to those pain areas… it felt so good that I kept getting goosebumps all over my body. The massager is also very quiet (great if you share your bed/room with someone else). I love that it brings a cable so I can plug it in at home, and a car cable so you can actually use it on the road (road trip heaven!). 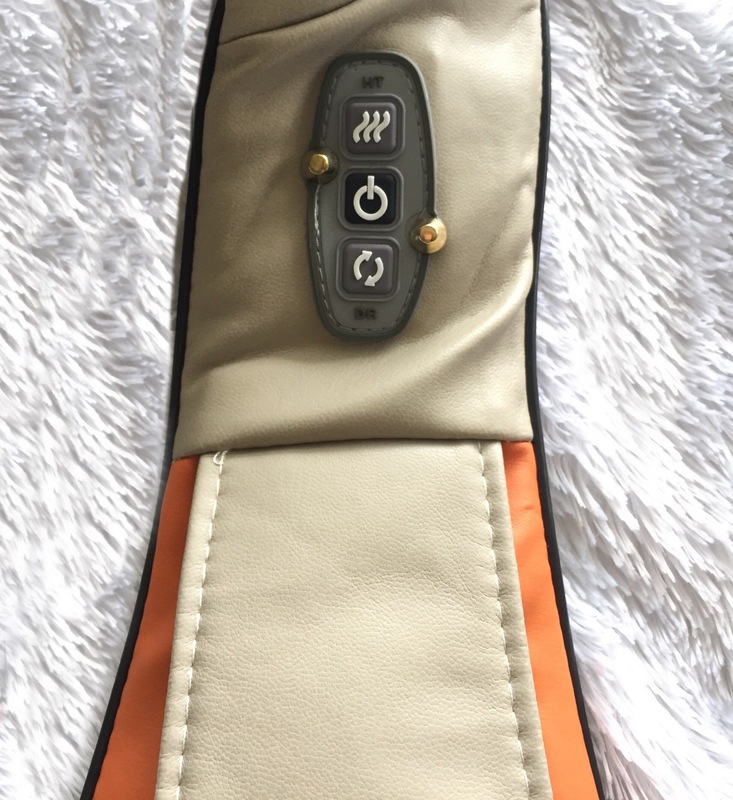 I did fall asleep a few times using this massager; however, I had nothing to worry about as it has a safety auto-shut feature that works every 10 minutes. I also like that the straps hanging from the massager gives it a great manageability design, so I can easily use it on my legs, arms, shoulders… you name it. It also has great settings, including heat, which is my favorite!! It feels so good and my muscles relax even more! (I’m very sensitive to everything, so I can attest that the heat is safe and won’t overheat to dangerous levels. However, I would ALWAYS keep an eye on children and elderly). The material is also very sturdy and very easy to clean: you can use a damp wash cloth and it is good to go. I could go on and on, but in simple terms: this massager is a life saver, (a pocket saver) and the best I have tried!